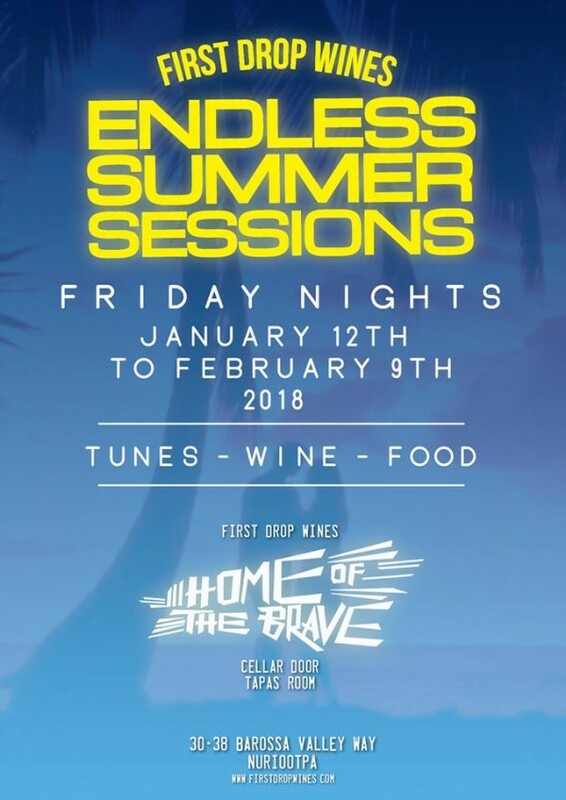 The team at First Drop Wines are kicking off 2018 in style by introducing their first ever Endless Summer Sessions. Each Friday from 12 January through to 9 February, join them for evenings of food, wine and summer good-times! Enjoy delicious tapas accompanied by their legendary range of easy drinking wines (including their delicious summer whites, Endless Summer Pinot Grigio & Vivo Arneis). The astro turf will be rolled out so you can kick back with friends and enjoy those long warm summer evenings with cool tunes and a tonne of fun! Free entry, DJ's, food, wine & good times! Open 10am - late Fridays from 12 January through to 9 February - subject to change without notice.